I haven't been in school in more years than I care to count, but that doesn't stop me from thinking about or enjoying back-to-school snacks. I'm particularly fond of anything that is easy, sweet and healthy, or, in the case of these funfetti granola bars, sweet disguised as healthy. Basically, if your bowl of granola walked into a cupcake covered with sprinkles, these bars would be the result. I know, weird description, and one I'm certainly not getting any A's on. The actual granola bars, on the other hand? They're getting an A+++++. 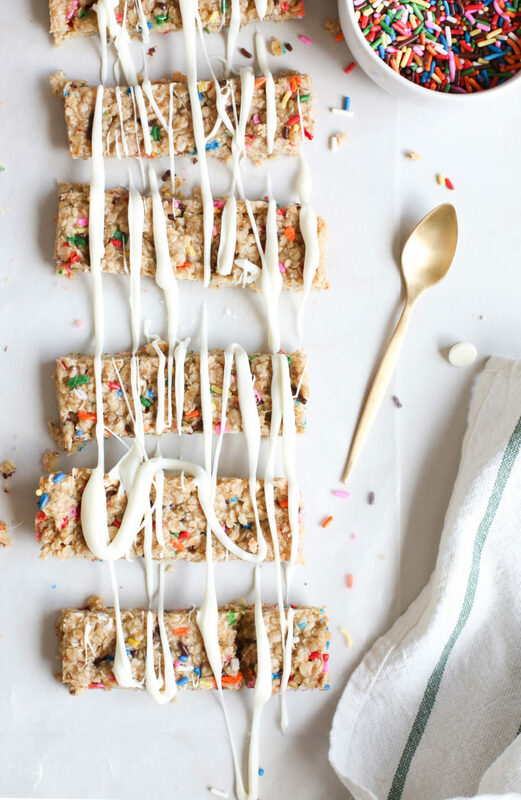 You know you want to make them (especially since you only need one bowl to mix them up) so head over to Sugar & Cloth to grab the funfetti granola bar recipe asap!